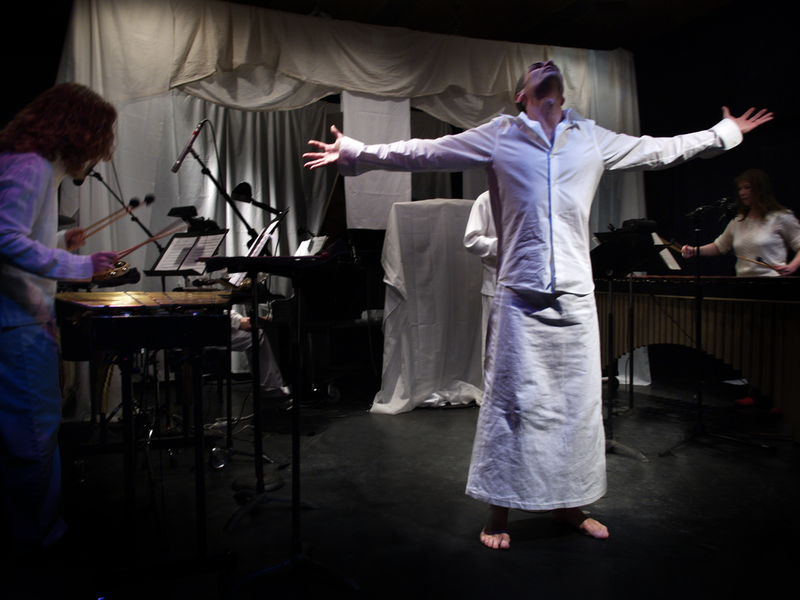 Shape Shifting gathers the talents of Zeitgeist, composer Scott Miller, poet Philippe Costaglioli, and video artist Ron Gregg to create an evening-length artistic response to the promising yet perilous nature of change. Sound immerses the listener in a lush electronic environment while poetic and musical interaction evokes sensuous landscapes and timeless truths in English, French, and Catalan. Enveloping all, transcendent images create a world of abstraction and dream out of everyday realities and overlooked environmental spaces.